Show her you would do it all over again with a ring that demonstrates your love. This glorious diamond anniversary band features a stunning row of luxurious diamonds glistening brilliantly all along a white gold band. Twinkling like stars against a midnight sky, this anniversary ring has eye-catching radiance. What a beautiful ring to present to your sweetheart as a symbol of your commitment to love them forever. With its sophisticated design, this 2/3 CTW Round Diamond Band Anniversary Ring truly captivates. 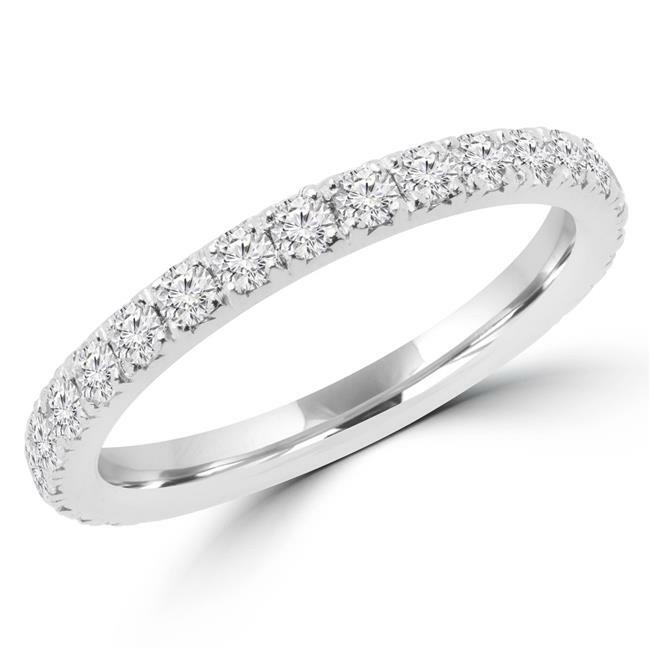 It features 23 very good round cut white diamonds dazzling around a 14K white gold band. The diamonds have an F-G color range and VS2-SI1 clarity. This eye-catching ring is an elegant choice.